Roatan lies about 40 miles ( 65 kilometers) off the northern coast of Honduras. The tropical island sits on top of a coral reef and is known as a diver’s paradise. Deep water close to shore allows Idabel to operate from a dock and not a support ship. Typical daytime temperatures in Roatan hover in the mid-80s F and nighttime temperatures are in the upper 60s F.
Day 1: Arrive Roatan. Escorted from airport to Cocolobo Resort. Evening free to explore the island’s West End. Day 2: Time to relax and explore Roatan before meeting Captain Karl and embarking on a late-night mission in search of Six Gill Sharks. The resort is just steps from Idabel’s dock. Day 4: Enjoy a great local activity, arranged by Incredible Adventures. Cost: $5600. There is no charge to bring along a guest as long as the combined weight for you both is 450 pounds or less. Adventure includes: Six Gill Shark Adventure in Idabel, four nights at the Cocolobo Resort, breakfasts, transfers to and from the airport and resort, pre-planned local activities and guide services. The Sub: Idabel is a one-of-a-kind deep diving submersible, designed and built for her exact location on Roatan, Honduras by American Karl Stanley, an adventurer and deep sea explorer who built his first sub at the age of 15. 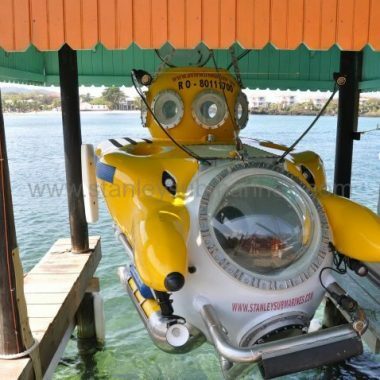 Idabel is designed to safely transport three people to a depth of 3000 feet ( 915 meters) below sea level. Her safety features include twin ballast compartments, twin high-pressure air systems, a 350 pound droppable lead weight and fully redundant propulsion systems. She has no rudder, dive planes or other moving parts to jam and is equipped to provide three days of emergency life support. 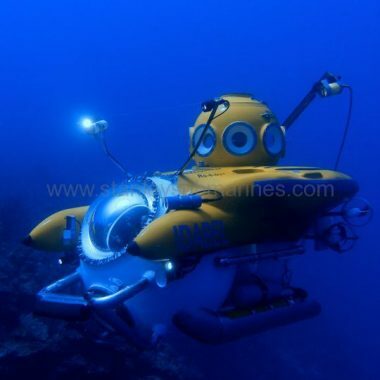 Captain Karl Stanley: American Karl Stanley has designed and built two different deep submersibles which he has piloted in three different countries. He’s logged more than 3000 hours of experience piloting a deep submersible and is a member of the Deep Submersible Pilots Association. Karl’s dives have ranged in depth from 500 feet to 2660 feet and in duration from a few hours to nearly 17 hours. Very few others have the kind of experience Karl has. Karl and his underwater adventures are the subject of a documentary titled “A View from Below,” produced by Rooftop Pictures (available for purchase on Amazon.com). 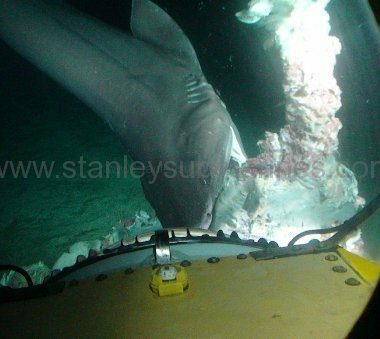 Captain Stanley has teamed up with Roatan Institute of Deepsea Exploration, a local non-profit organization to help in the tagging of six gill sharks for research purposes. If you are interested in making a financial contribution to the study of six gills in Roatan, please let us know and we’ll put you in touch with the right people. A single satellite tag costs about $3500, so any contribution is appreciated.